Orange is an incredible fruit to incorporate in your daily diet. Along with a delicious flavor and juicy pulp, oranges provide various health benefits. A daily consumption of oranges can reduce the risk of stone formation in the kidneys. Oranges have constituents like pectin and hesperidin that lower down bad cholesterol and decline the absorption of fat within the body. Oranges can help balance blood sugar levels. Oranges have anti-inflammatory properties that can provide relief from inflammation in Arthritis patients. The magnesium and hesperidin present in oranges can help in effectively controlling blood pressure. High concentration of fiber in oranges aid in releasing digestive juices and enzymes that help in effective digestion. Oranges have a compound called D-limonene that helps fight cancer in colon, lungs, skin, and breast. Vitamin C present in oranges protects body cells against damage by free radicals. Oranges also help in maintaining a healthy cardiovascular system. More benefits of incorporating oranges in your diet include a healthy brain development, improved immunity, reduced bad breath, improved blood circulation, and prevention from stomach ulcers. Another bonus benefit of eating oranges is that they keep you full for long. So, if you are a fitness freak or following a weight loss regimen; oranges are a good option to incorporate in your meal plan. Oranges have been consumed from ages in the form of tart, juice, and citrusy. Oranges are a perfect pick-me-up meal for dull mornings. Even the peel of the fruit is used in scrubs for treating dark spots, blemishes, blackheads, and acne. The skin whitening and anti-aging properties of the orange peel help in maintaining healthy radiant skin. Tone up and rejuvenate your dull skin with an orange peel mask. Even the juice of the fruit acts as an excellent hair conditioner that stimulates hair growth and treats dandruff. Now, you can enjoy the goodness of oranges at the comfort of your home with orange supplier Singapore at wholesale prices. 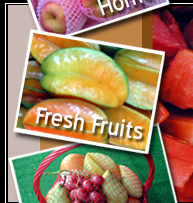 eFreshFruit by Hock Hoe Hin Pte Ltd is a reputable orange supplier in Singapore at wholesale prices that specialize in the import and delivery of oranges. They have been supplying fresh fruits in Singapore since 1970s. 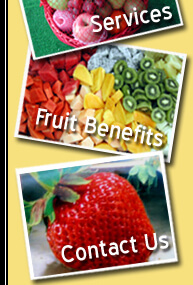 Decades of experience in keeping the fruits and delivering them to every nook and corner of Singapore helps them in facilitating fresh fruits to your doorstep in the finest quality. You can purchase oranges in bulk from the orange supplier Singapore wholesale Fruit shop. eFreshFruit deliver garden-fresh oranges to your doorstep quickly and conveniently at the most affordable prices. So, next time if you crave for the delicious fruit or want to enjoy a fresh glass of orange juice, place an order from eFreshFruits to get fresh juicy oranges delivered to your doorstep. Make oranges a part of your daily meal to enjoy the various health benefits that they offer.